San Diego’s Mission Beach is actually a thin peninsula with the Pacific Ocean on one side and Mission Bay on the other. People from all around the world are drawn to Mission Beach’s numerous world-class theme parks, magnificent summer scenery, and bohemian vibe every single year. If you’re planning on visiting this beach in the near future, then you need to check out this article. Below, we’ll go through some of the best things to do in Mission Beach and explain how to get here from anywhere in the world. First on our list should be a pretty obvious choice: walk along the beach and boardwalk! Strolling on Mission Beach is a unique experience because it only measures about two blocks wide. You’ll never be far from the waters of either the Pacific Ocean or the magnificent Mission Bay as you take your walk down Mission Beach’s two miles of white sands. Mission Bay also has some exceptional opportunities for scuba diving and surfing. Once you’re done enjoying the sand and surf on the beach, be sure to check out all the wonderful attractions in Mission Bay’s boardwalk area. Due to its close proximity to the Giant Dipper Roller Coaster, the Mission Beach Boardwalk has a charming “retro” and is a perfect place for some fab selfies. There are also plenty of bike shops in Mission Beach Boardwalk if you feel like pedaling around the area. Without a doubt, one of the most popular things to do in Mission Beach is to take a trip to the world-famous theme park SeaWorld at 500 SeaWorld Drive. 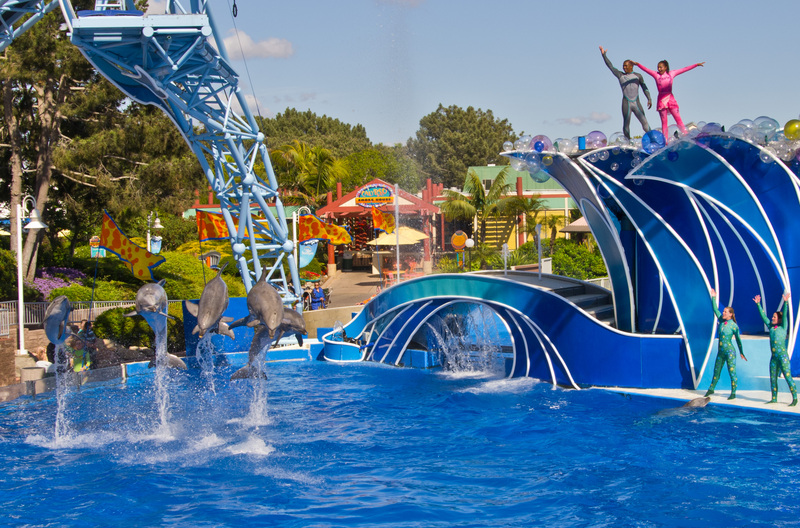 In addition to plenty of delightful marine animals shows and kiddie rides, SeaWorld has a surprising array of exhilarating attractions to keep the teens happy. A few of the most popular rides for young adults include the Electric-Eel Roller Coaster and the new virtual reality DeepSEE experience. SeaWorld also hosts many special events throughout the year like food & wine tastings, themed parades, and jaw-dropping night shows. Be sure to check out everything that’s going on at SeaWorld San Diego before you book your trip there. If you’re traveling to San Diego with kids, then you need to add a stop to SeaWorld to your list of things to do in Mission Beach. After SeaWorld, the second most famous theme park in Mission Beach is Belmont Park. 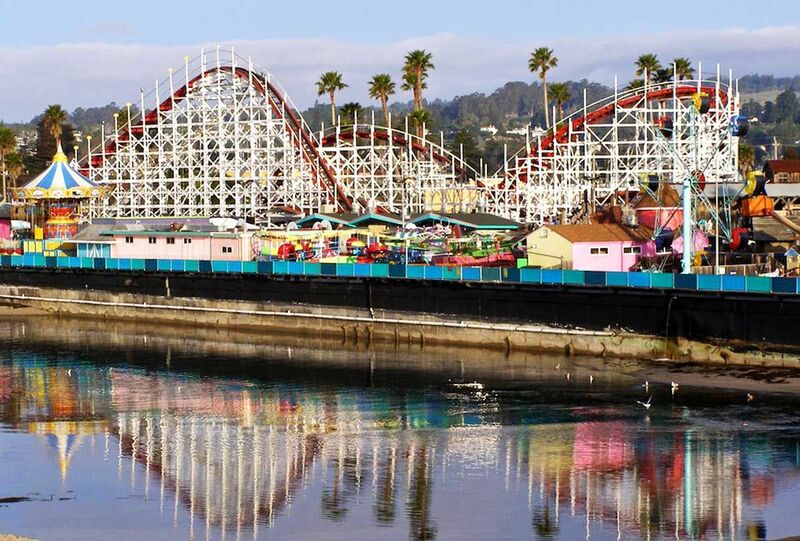 Situated on the beachfront along the Mission Beach boardwalk, Belmont Park is a pay-as-you-go amusement area with a wide variety of rides, restaurants, and shops to keep the whole family happy. The most iconic attraction here is the ½ mile long wooden roller coaster called Big Dipper. A few other rides that might catch your attention include the Octotron, the Beach Blaster, and the Carousel. Foodies won’t have any issues finding a nice place to grab a bite in the Belmont Park area. Besides standard carnival fare, Belmont Park is home to the wonderful Beach House Grill that boasts exceptional views of the Pacific Ocean. Be sure to check out the opening and closing times for these rides before visiting. 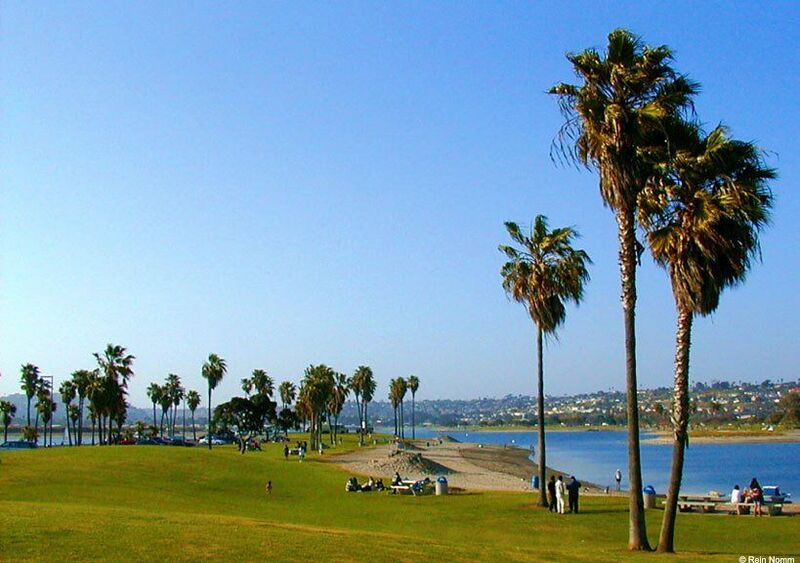 As the name suggests, Mission Bay Park is located all around the Mission Bay section of Mission Beach. Here you’ll find plenty of opportunities to try out various water sports like jet skiing, riding in a boat, and sailing. There are also many walking, hiking, and biking trails to explore in the area. Located within Mission Bay Park, the Fiesta Island Park is a splendid area to picnic and relax under the San Diego sun. Officially Fiesta Island Park is a dog park, so feel free to bring your furry friend here for some safe outdoor fun. There’s even a pool in this park for pooches! The one place every golfer needs to visit in Mission Beach is the Mission Bay Golf Course. Golf enthusiasts might have already heard of this 46-acre course since it was here that Tiger Woods won his Junior World title. Designed by the great Ted Robinson, the Mission Bay Golf Course has 18 holes listed as par 58. Four holes on the course are par four and 14 others are par three. You’ll find the Mission Bay Golf Course at 2702 North Mission Bay Drive. Because Pacific Beach is located just above Mission Beach, the two are often lumped together in tourist books. There aren’t as many attractions in Pacific Beach, but it’s a well-maintained beach with pristine views of the Pacific Ocean. One of the highlights of visiting Pacific Beach is the Crystal Pier that juts out into the Pacific. If you’re looking for more excitement on your trip, however, consider planning a day trip from Mission Beach to Downtown San Diego. A few of the highlights to visiting this densely populated city include a trip to the San Diego Zoo, the museums around Balboa Park, and the historic Gaslamp Quarter. Anyone who has their passport handy could even hop the border from San Diego into Baja California’s happening Tijuana. No matter where you’re traveling from, you should be able to book a boarding pass to San Diego International Airport (IATA: SAN). Believe it or not, SAN is the busiest runway in the USA and one of the most heavily trafficked airports in the world. Before you arrive at this incredibly busy airport, take a good look at SAN’s website so you won’t feel overwhelmed once you arrive. From SAN, Mission Beach is only a 15-minute drive away. Once you get out of the airport, simply get on North Harbor Drive towards Nimitz Boulevard. After less than ten miles following this road, you’ll arrive in Mission Beach. With all of these things to do in Mission Beach, is it really any wonder so many tourists choose to travel here every year? For many people, there’s no better way to experience the charms of Southern California than booking a vacation on this beloved peninsula. Please keep all of these things to do in Mission Beach in mind while planning your incredible Californian getaway!